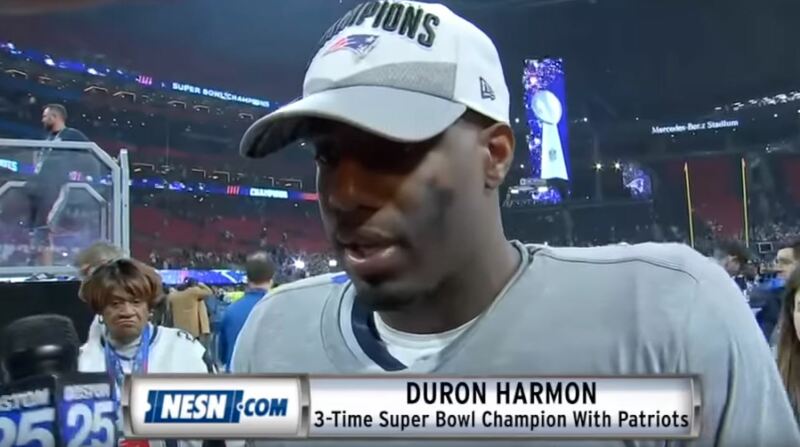 New England Patriots safety Duron Harmon said that he has no intentions of visiting President Trump’s White House to celebrate the team’s Super Bowl win. During an interview with TMZ Sunday night following the Patriots’ victory over the Los Angeles Rams, the 28-year-old athlete said he wouldn’t join his teammates for a visit. “They don’t want me in the White House,” said Harmon. When the Patriots won the Super Bowl in 2017, several players, including Harmon, refused to visit the White House, some citing lack of support for Trump. Trump, a fan of the Patriots, is friends with quarterback Tom Brady, head coach Bill Belichick, and owner Robert Kraft.